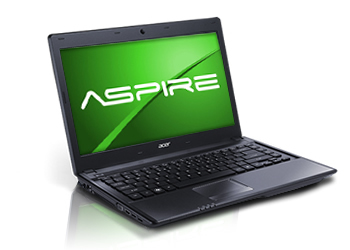 Acer Aspire 4755G (AS4755G-6849) laptop computer features 640 GB S-ATA 5400RPM HDD, 6 GB DDR3 SDRAM (supports up to 8 GB), and Intel HM65 express chipset. The 14-inch WXGA LED backlight display is equipped with nVIDIA GeForce GT 540M. This notebook has an optical drive, three USB ports which consist of two USB 2.0 ports and one USB 3.0 port, 4400 mAh 6 cell li-ion battery with up to 4.50 hour of battery life, webcam, and card reader.